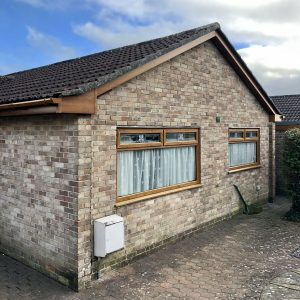 This week we have finished some golden oak woodgrain fascias and soffits. 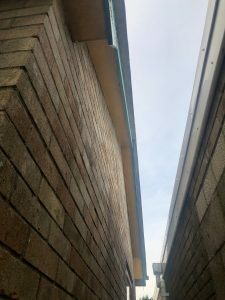 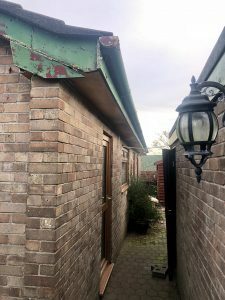 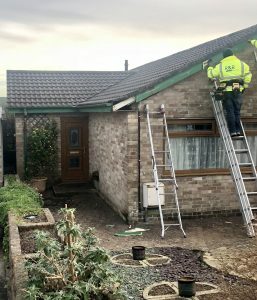 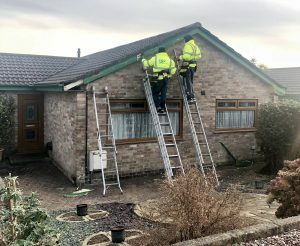 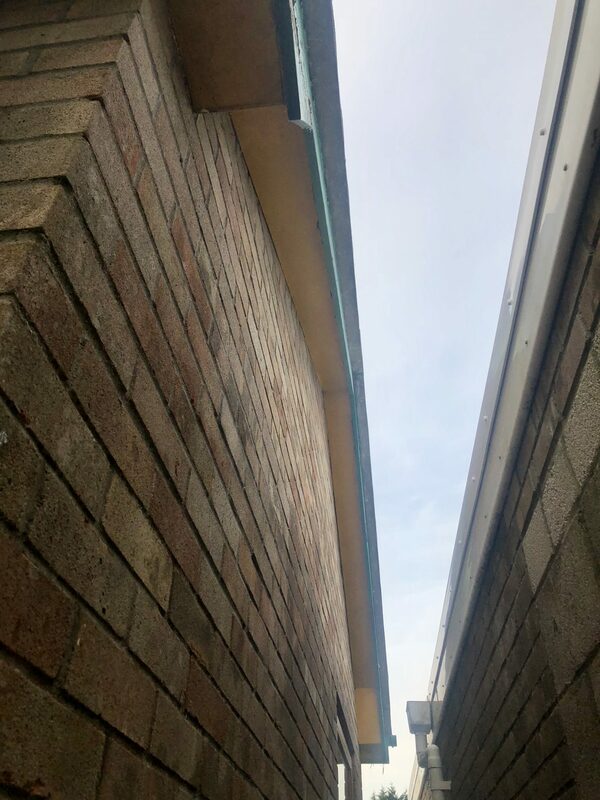 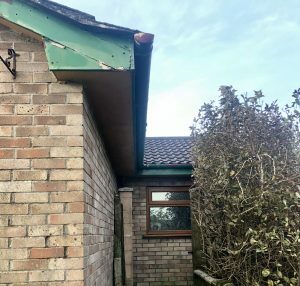 The old rotten fascia boards were removed along with the old half round guttering. 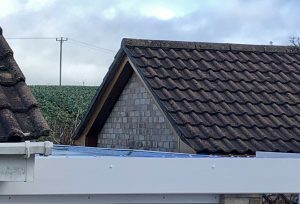 Once removed new 6 x 1 noggins were installed along with felt trays. we then installed replacement soffit and replacement 18 mm Eurocell fascias with over fascia vents. 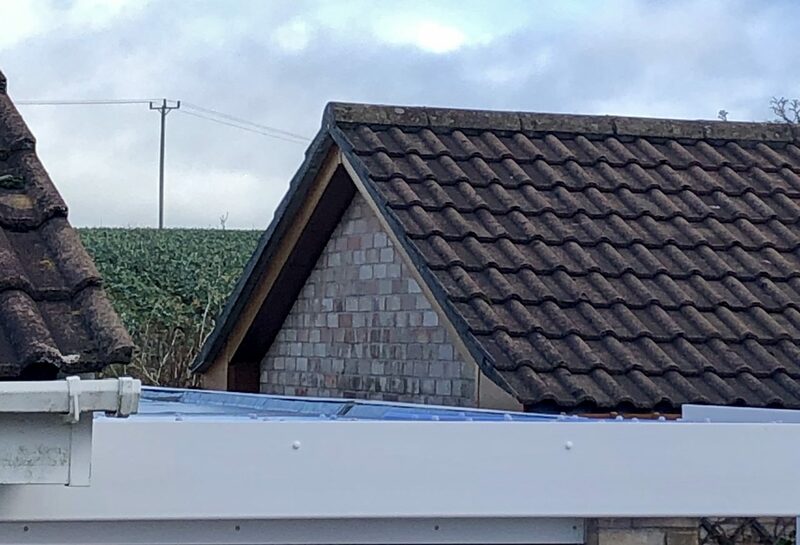 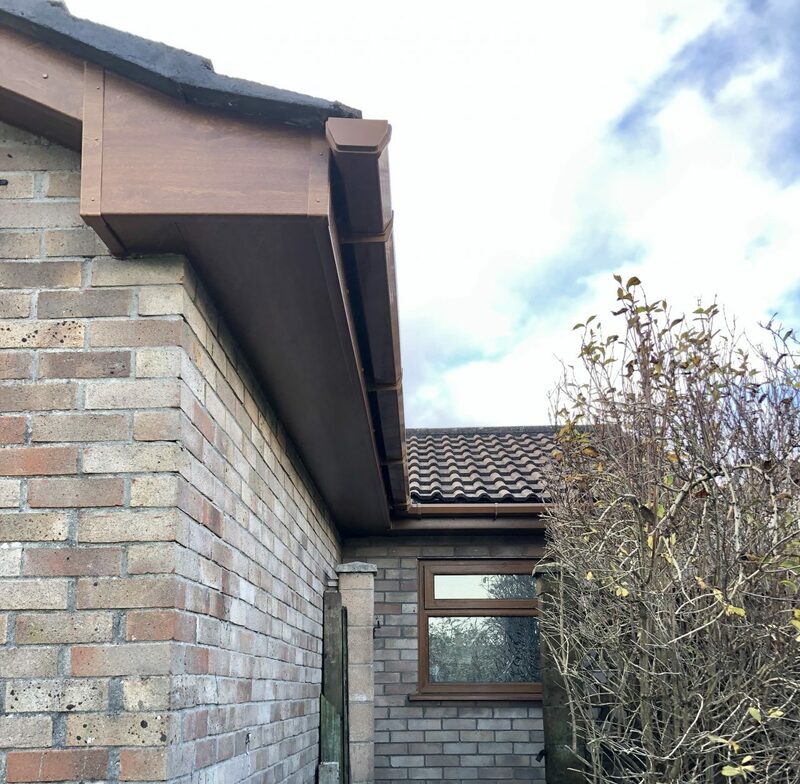 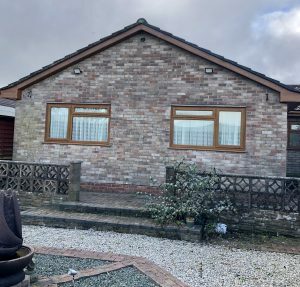 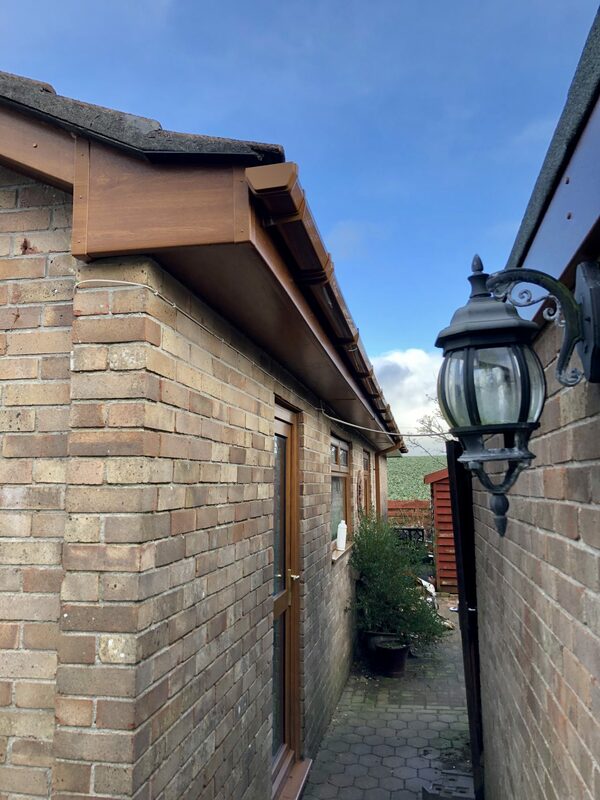 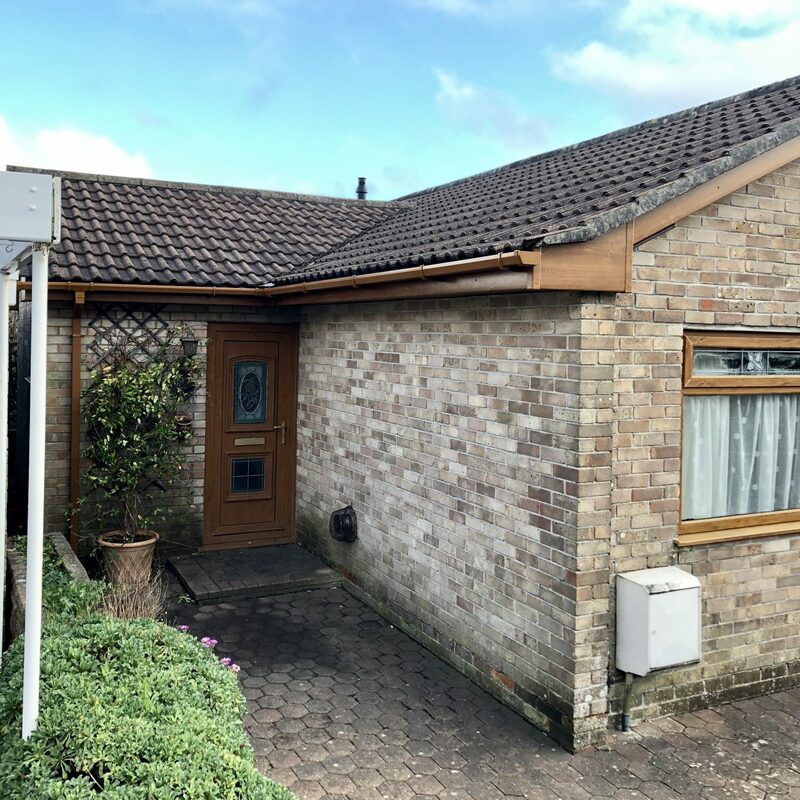 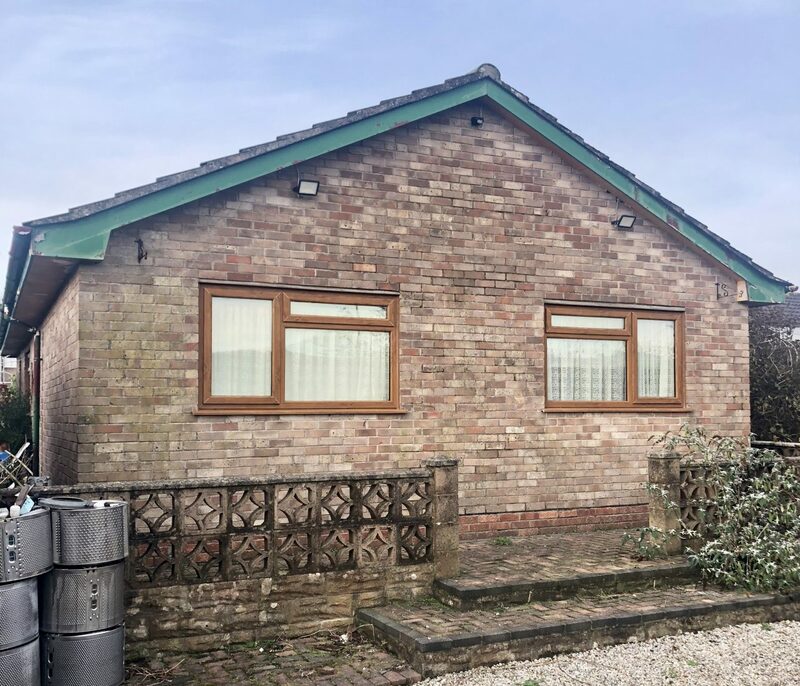 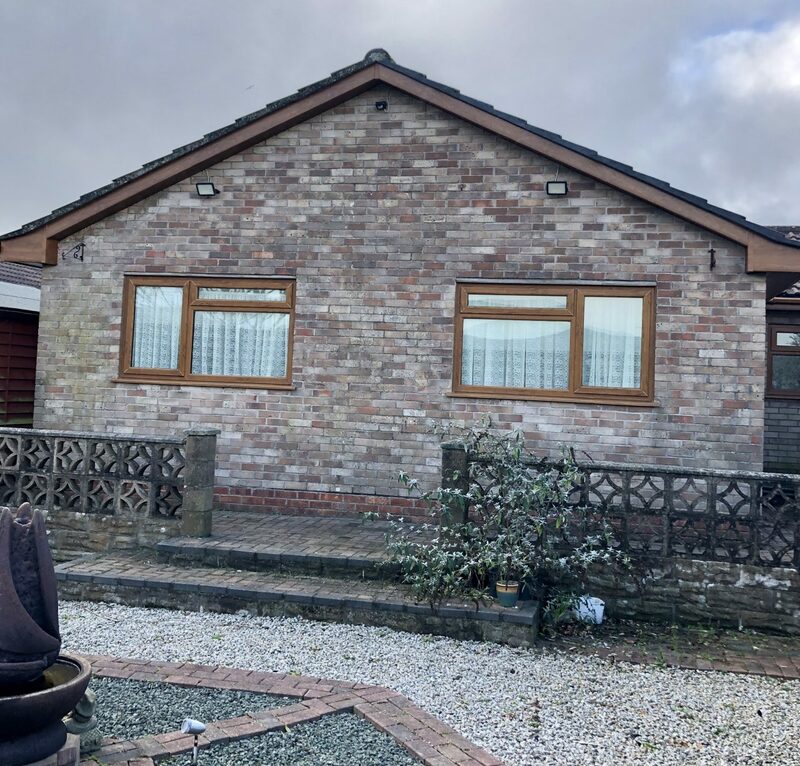 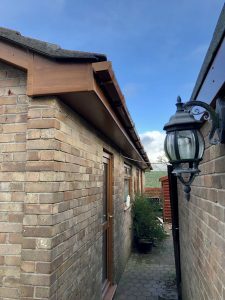 We used caramel square guttering and down pipes to match the golden oak fascias and soffits.